We are one of the leading Exporter, Suppliers of Super Duplex Products all over The world. 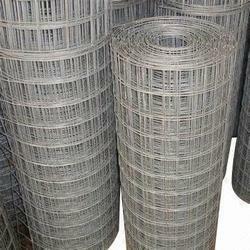 We are providing our clients with excellent quality range of round bars which are made of quality Super Duplex steel. This material has high mechanical strength and good ductility with outstanding corrosion resistance to marine environments and a diverse range of industrial environments. These materials have successful application in Oil and Gas production, chemical processing, pollution control, pulp and paper production and so on. We are offering Inconel Pipe to our clients. Alloy 600 also commonly known as Inconel 600 is a Nickel-Chromium alloy designed for use from cryogenic to elevated temperatures in the range of 2000°F (1093 °).The high nickel content of the alloy enables it to retain considerable resistance under reducing conditions and makes it resistant to corrosion by a number of organic and inorganic compounds.The nickel content gives it excellent resistance to chloride -ion stress corrosion cracking and also provides excellent resistance to alkaline solutions.Its chromium content gives the alloy resistance to sulfur compounds, various oxidizing environments and makes it superior to commercially pure nickel under oxidizing conditions. Other common trade names are Nicrofer 7216 and Incoloy 600. We are offering Kanthal Strip to our clients. 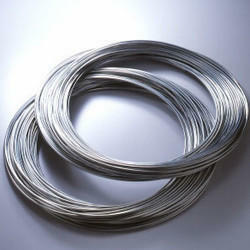 Kanthal A-1 is a ferritic iron-chromium-aluminum alloy (FeCrAl alloy) for use at temperatures up to 1400°C (2550°F). 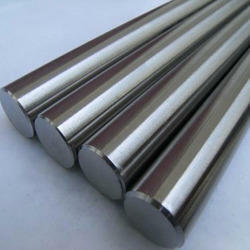 The alloy is characterized by high resistivity and very good oxidation resistance. Typical applications for Kanthal A-1 are electrical heating elements in high-temperature furnaces for heat treatment, ceramics, glass, steel, and electronics industries. High-quality Case Hardening Steel 20Mncr5 Hexagonal Bar using high-quality machines and instruments. 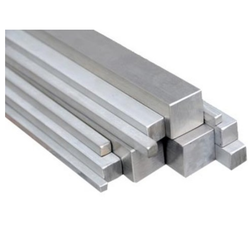 These 20Mncr5 Hexagonal Bar are available in various sizes.These Case Hardening Steel 20Mncr5 Round Bar are stain resistant, corrosion resistant and their unique designs make them popular in the national as well international market. 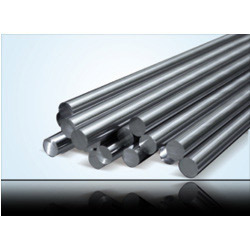 The Case Hardening Steel 20Mncr5 Round Bar offered by us are fabricated from high-grade stainless steel that is procured from the reliable vendors of the industries. Available in various specifications as per the client's requirements. 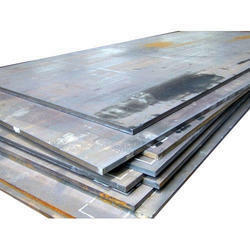 Further, we Piyush Steel offer these products at industries leading prices. We Export And Supply 20Mncr5 Hexagonal Bar. For 20Mncr5 Round Bar Feel Free To Email Us. Widely appreciated for our capability of providing a desired and superior quality range of Case Hardening Steel 20Mncr5 Square Bar. Known for their remarkable features and excellent quality, our products have found their wide application across the country. Clients are placing repeated orders of our products, which reveal our ability to provide them desired and qualitative products Available in various sizes, our range is widely used in construction, agriculture, and other engineering industries. For 20Mncr5 Square Bar Feel Free To Email Us. 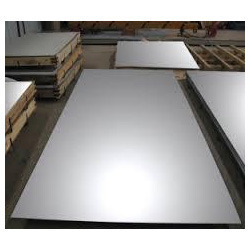 Size 14" X 48",2"x 4",16"X 8"
Brass sheet is used in industrial applications of grading, grinding and stitching in sheet metal works & Furniture, general engineering, Radiators, etc. These sheets are manufactured at trustworthy vendor's end by the use of superior machines and advance technology, as per defined industrial norms and standards. The offered sheets can be availed from us in diverse specifications at the most reasonable prices. 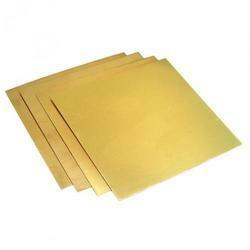 Brass agarwal sheet is a-one quality. MOSTLY WE HAVE READY STOCK OF CUZN37,CUZN40 & OTHER GRADE AS PER ORDER. Available in Strips, Sheets, Plates & Circles form. 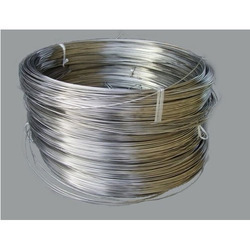 Having a definite quality management system, we are regarded as the noteworthy trader, retailer, wholesaler and supplier of an extensive gamut of Molybdenum Wire. Widely used in varied chemical industries, provided wireis manufactured by using the best quality raw-material and the modern technology by our vendors’ experts. The offered wire is tested on diversified quality parameters so as to ensure its quality. In line with international standard, we provide this wire in different specifications at industry leading prices. 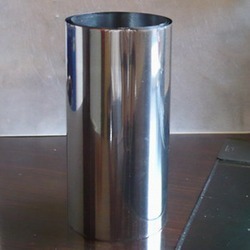 Tin also is one of the most tough, tensile and corrosion resistant materials and hence we have also used this tin for the manufacture of several kinds of items at our company out of which these tin ingots also are one. These tin ingots are widely being used and appreciated for a comprehensive range of industrial works such as providing support to heavy load and hazardous chemical boxes or such equipments to prevent direct contact with the surface. 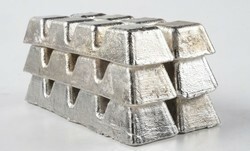 These tin ingots are available for our clients at a very conventional range of prices. 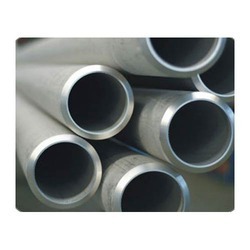 We manufacture and supplier of duplex & super duplex pipes, rod, sheet, plate, fittings, fasteners, tube, flange, patta-patti, circle, FILLER WIRE etc which are durable, and corrosion free. These duplex pipes are offered in various specifications, shapes and sizes as well as we meet customized requirements of our clients. 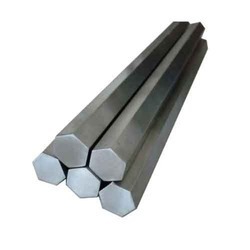 Available in various diameters and cross sections, these duplex steel round bars are widely used in construction, machining, grills and fasteners. We yearly turnover 240 to 250 tons. Nickel Alloy Pipes as well as Super Duplex Tubes offered by us are made available in grade series of 300, UNS S32550, S32750 and S32760. Further, we can also deliver these in other specifications as demanded by the customers. Size:1/4" od to 4"od & 1/4"nb to 4"nb . Swg&Sch:20swg,18swg,16swg,14swg,12swg,10swg & Sch10, sch40, sch80 etc. Length: Standard & Cugt length also. Test certificate:Manufacturer test certificate/laboratory test certificate from govt approved lab & under third party inspection. 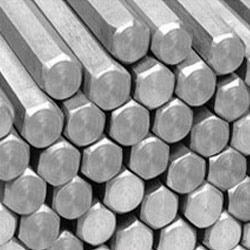 We are highly engaged in supplying and trading of an exclusive array of Hex Round Bar. These are designed with using premium-quality raw materials and are highly rated for their dimensional accuracy. These products are highly demanding by the customer by their admire features such as high tensile strength, excellent performance, corrosion & abrasion resistance, dimensional accuracy, leak-free connections and sturdy construction. 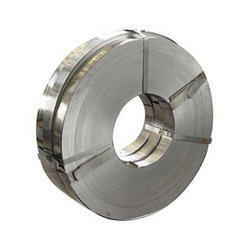 We are a well-recognized name that is affianced in offering our valuable clients a world class Molybdenum Strip. The provide stripis manufactured using the finest quality raw material and cutting edge technology at vendors’ end in synchronization with industry standards. Moreover, thisstripistested against different quality measures in order to ensure its quality. Keeping in mind its varied requisites in chemicals industries and power plants, thisstripis provided in various technical specifications. Backed by a team of dexterous professionals, we are engaged in trading, retailing, wholesaling and supplying a wide range of GI Weld Mesh. Our vendors’ experts manufacture this weld mesh by using the best quality raw material and progressive technology in conformity with international standards. In order to ensure defect free range at client's end, our provided weld mesh is tested by our quality examiners against different parameters. 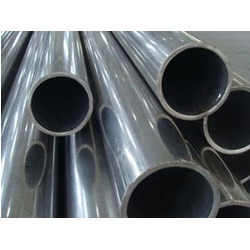 We are one of the preferred names of the industry to offer Hastelloy Pipe that is well known for its dimensional preciseness and reliable performance. Offered at affordable prices, these pipes are manufactured using premium quality raw materials. We make sure that these pipes are made in adherence to the predefined industry standards and norms. 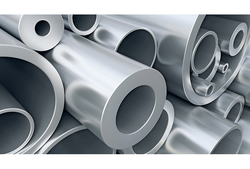 Looking for Alloy Steels Products ?